My name is Lizzie, and I am a sophomore in high school. I love helping out with Sunday school at my church in the four-year-old room and just being around little kids in general. I also enjoy writing letters and e-mails, biking, learning Spanish, and trying new dessert recipes. 2. How did you first learn about Compassion? I've known about Compassion for a very long time. I remember that when I was really little my church supported two Compassion children. I think one of the children was a teen boy from Guatemala whose name was Bear. When my family would leave church, I remember asking my mom to go and see their photos on the bulletin board. At one point, my family wrote letters to them. I remember my sister and I making drawings for them with pastels. 3. 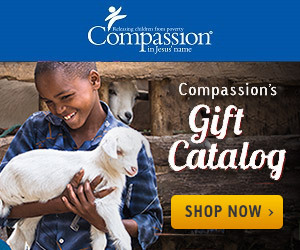 Why did you decide to sponsor with Compassion? Even though I had heard of Compassion when I was very young, I forgot about it for a long time because we started going to a different church. In 2011, I was re-introduced to Compassion. I received an e-mail from them about sponsoring a child. I couldn't sponsor a child at that time, but I learned about the correspondence program - within six months, I had three correspondent children. I really loved getting to write and know my correspondent children. Through different blogs, I learned what Compassion does and the importance of it. I decided that I really wanted to financially sponsor a child because I could see that it changed lives. In February 2012, I sponsored my first child! A sponsor bracelet is a bracelet with a bead (it could be wood, stone, etc!) from each country you sponsor in. The hope with sponsor bracelets is that others will comment on the unique bracelet which will give the sponsor an opportunity to share about their kiddos and Compassion (or whatever organization they sponsor through). 5. Is there a country where Compassion works that you would really like to visit one day? Yes. Actually I would love to visit all the countries that Compassion works in! Probably though if I had to choose one country to visit, I would go to Indonesia. My first correspondent child Aprila lives in Indonesia and I would love to meet her and see her home, project, and community! Honestly, though, I would be thrilled to see Compassion in the field in any of the countries they work in. Doesn't she sound like a neat young lady? Right now, Lizzie is making plans to go to Mexico herself! Her trip is not a Compassion trip, but I would still love to support her and spread the word about the bracelets she is making to help her earn money for her trip. So stop by her blog, and purchase a couple of bracelets from her today!